DODGE cars never adopted the "aerodynamic" style of CHRYSLER but otherwise were closely related from the design point of view with the models of this company as they used many common mechanical parts. 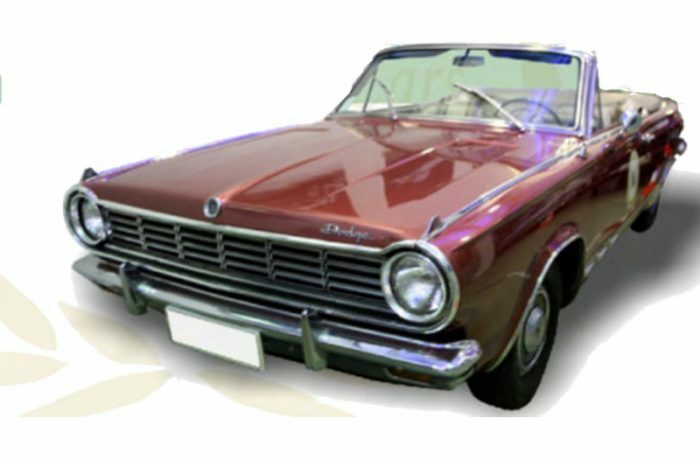 In 1960 the DART model had achieved the most sales of DODGE products so the popular DART series remained in production by the company until the 1970s. The current car is the Cabriolet version, equipped with an Automatic Electro-Hydraulic Ceiling, a 6-cylinder 105hp engine with a capacity of 2786cc, leather saloon and gear lever on the steering column. It was the predominantly female Cabriolet car because it has an easy-to-use automatic electro-hydraulic retraction mechanism for the roof. Finally, this particular car has a rain sensor option, so if the roof is open and starts to peel, it closes itself. Today no company in the world is produced by any Cabrio with this facility.